Comparable to Hoya XPD Series ND Filters. Superior to Hoya Pro 1D & HMC Series. ND Filters. 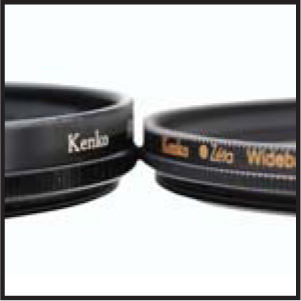 The Kenko Zeta filter with 'ZR Anti-Reflective Coating' is the ultimate filter for use with Digital Single Lens Reflex Cameras. 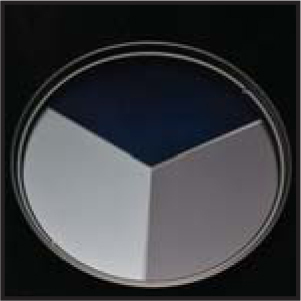 Newly designed innovative ZR (Anti-reflective) coating makes reflection rate less than 0.3% of single surface of the glass (Less than 0.6% with Wide Band C-PL). ZR coating also creates Water Repellent and Scratch Resistant glass surface to make filter maintenance very easy. Low profile and extremely thin (4mm) filter frame is fully compatible with super wide-angle lenses. This innovative coating will not interfere with any color or light transmission. Reflections are eliminated by allowing light to enter the filter at virtually any angle. This filter will produce superior results and can be used with any type of lens (wide angle to telephoto). which is perfect for portraiture toreduce depth of field. Subject appears crisp and clear while the background becomes a soft blur. Also widely used for photographs of waterfalls and other nature scenes to emphasize movement. ZR ( Zero Reflection ) Super Multi-Coating: This innovative coating will not interfere with any color or light transmission. Reflections are eliminated by allowing light to enter the filter at virtually any angle. This filter will produce superior results and can be used with any type of lens (wide angle to telephoto). Ultra Smooth Surface - Nano Glass Technology:Our Nano Glass Technology creates an ultra smooth surface from the finest particles of glass, making it stain and scratch resistant without any effect to the image. 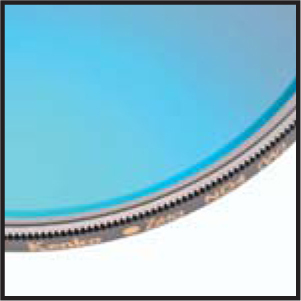 High End Construction - Ultra Thin Frame: The glass of this lens is precision machined and attached using Retainer Ring Mount Technology giving this filter an unsurpassed durability. An ultra thin frame also makes it wide-angle lens compatible. 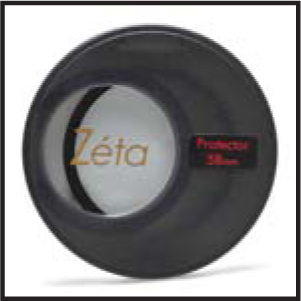 Sophisticated Filter Case : Sleek design and durable, a protective and easy to use polycarbonate resin compact case comes with the every Zeta filter. HOYA and KENKO products carry a one-year limited warranty. Should any of our products require warranty service, we will, free of charge, repair to factory prescribed standards or replace, at our option, any part of products which our examination indicates to be defective in materials or craftsmanship. Our warranty only applies to products originally distributed in the United States by THK Photo Products, Inc. AND purchased from an authorized dealer in the USA. Even for warranty repairs the customer is responsible for shipping charges to THK.